With the UK property market slowing down and buy-to-let opportunities shrinking, buying abroad has never made more sense. The British have always been attracted to warmer countries and some have been brave enough to buy abroad, but it is difficult to find warmer climes only a few hours away at reasonable prices these days. Cyprus is just an inexpensive flight away, a mere four hours from the UK, which is not long to find yourself in a warm and wonderful paradise! Cyprus is not only attractive because of its climate and accessibility however, it is also because of the relatively low cost of buying property compared to other holiday destinations, and the potential for good rental returns in this popular destination. Prices for a one-bedroom apartment with a communal pool start from around £49,000 and from only £100,000 for two-bedroom villa with private pool in North Cyprus, whilst prices in South Cyprus start at around £80,000. The cost-of-living in Cyprus is much less expensive than in the UK too of course, making Cyprus even more attractive to residents and holidaymakers alike. The subtropical Cyprus climate is perfect for escaping from the cold British weather for many months of the year, with temperatures of both air and water in October of around 26-29C and only slightly cooler in November, compared to an average temperature of 12C in the UK at this time! The winters are mild and the warm season starts as early as February. With such a long warm season, both North and South Cyprus are popular with tourists all year round, so there is sizeable rental potential and excellent return if you want to let your property. A two-bed property can rent for 50-80 EUR per night for a short-term booking and some properties in certain locations can benefit from 10-12 month tenancy agreements if desired, whilst others can enjoy up to 6 months of booking in high season. Property prices have been rising steadily over the last few years so purchasing a property in Cyprus is also a good investment. Above all, buying and selling in North Cyprus does not involve any Capital Gains tax. If you sell for £20,000 more than you paid in two or three years, you keep the full profit! Why buy with City & Town Estates? 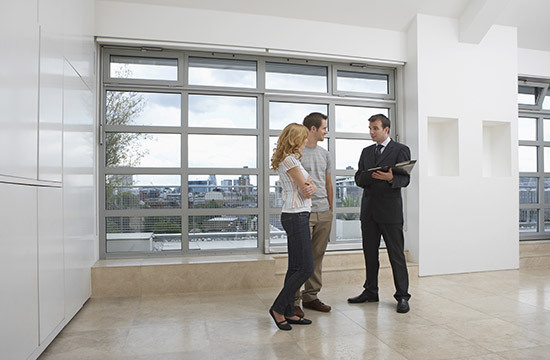 We have established contacts with reputable and trustworthy agents who support UK buyers from beginning to end. They have in-depth knowledge of the areas, property prices and trends and of course, local taxation and legislation requirements. City & Town Estates partners in Cyprus can advise on where to buy, recommend local mortgagees or solicitors if you need them and they can even advise on how to open local bank accounts and set up utilities. In fact everything and anything to ensure a smooth and hassle-free purchase and transition to Cyprus! Critically, our partners only offer properties with proper legal Title Deeds. In addition, should you need it, our local agents can offer you lettings and management services at very reasonable rates: preparing the property for your own visits or your renters, providing end of tenancy cleaning, check-in/check-out services and they can keep an eye on your property whilst you are not there. We can help you to buy off-plan too. Buying off-plan is becoming a popular way to buy in Cyprus since you can often secure a lower price, a degree of customisation and pay in instalments, whilst only waiting around 18 months for completion. City & Town Estates agents only deal with reputable developers with proven track records and happy customers. Together with our local partners, City & Town Estates offers a superlative service to UK buyers wishing to purchase and/or rent out property in the beautiful island of Cyprus, both North and South. Cyprus is a relaxed and safe place with a strong community spirit and friendly people. The crime rate is next to zero and many people feel safe leaving windows open when they go shopping. British buyers of holiday homes in Cyprus love the island for many different reasons. Some prefer modern villages positioned inland but with own swimming pools. Others prefer to be closer to the seaside and its many amenities. The most popular places are Pathos and Limassol in the South and Kyrenia and Famagusta in the North which have wonderful beaches. If you like it hot, you may prefer visiting Cyprus during summer months, however some local residents prefer to travel to the mountains or Troodos during the hottest months where it is fresher and less populated. City & Town Estates have personally visited North and South Cyprus and have discovered many attractive features in different areas. We suggest that prospective buyers visit both North Cyprus and South Cyprus for a few weeks to see which aspects of your home-in-the-sun wish list are best satisfied in different locales. At the moment, there are no direct flights to North Cyprus, but it is only an hour’s drive from Larnaca airport in the South or you can transfer easily enough in Turkey and the much cheaper property prices in the North reflect this. The weather is largely the same in the North and South and Brits can move freely between them. If you’d like any further information or help in planning a trip to explore a possible purchase, please do not hesitate to contact us and we’ll be more that happy to help together with our local agents.